Beautiful engraved wine glass, a great gift for any Bridesmaid or Groomsmen. 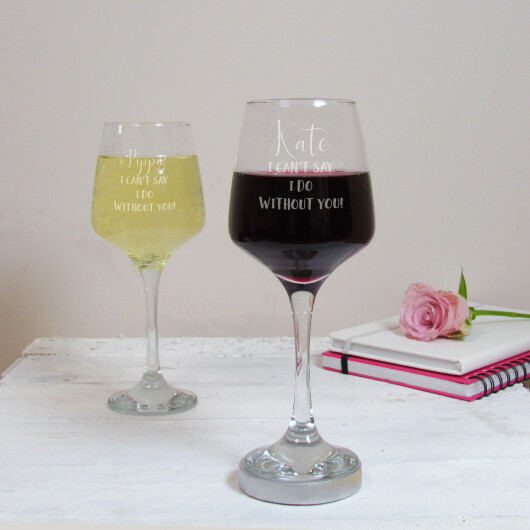 This wine glass is a great way to oficially ask your Bridesmaid or Best Man to be part of your big day! This invite is ideal for any role in the wedding Maid of Honour, Bridesmaid, Usher, Best Man etc. 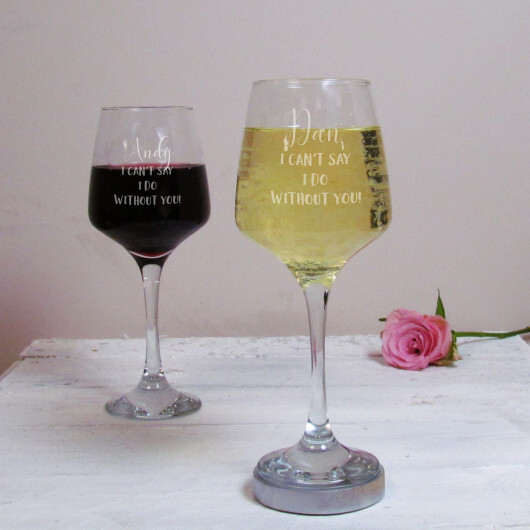 You can personalise this wine glass with a name which will appear above the 'I CAN'T SAY I DO WITHOUT YOU!' design. We personally engrave all our products in our workshop in West Yorkshire, if you have a bespoke design or require something personalised please get in touch.